Cocktails, Recipes, Travel - bon voyage!, Vive la France! 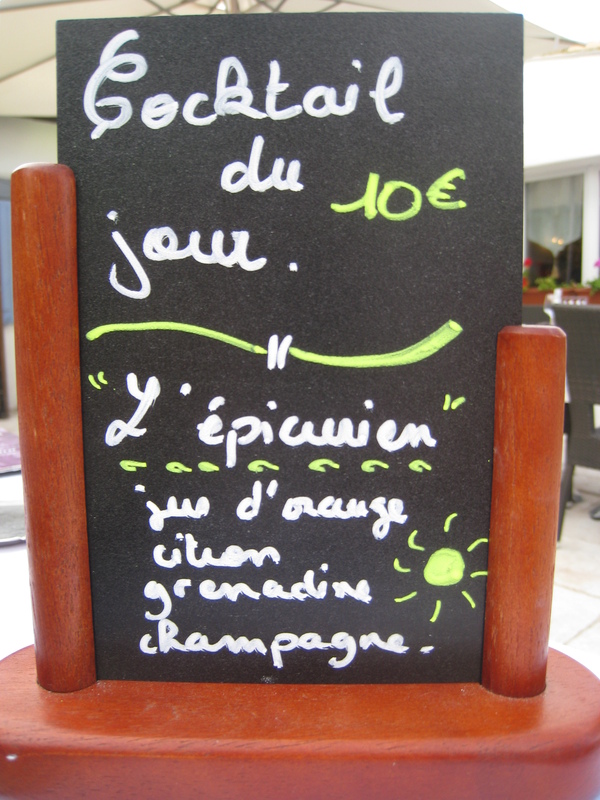 Spotted in France: the Epicurien, a cocktail bubbling with citrus and grenadine. That doesn’t sound like a bad drink. If there was a drink called “planetross”, I’d hope there was some chocolate milk in it … and a bunch of booze. note: I know who Roy Rogers and Shirley Temple are, but who the hell is Tom Collins … or Redbull Vodka?